October 30, 2018, 9:42 PM · Following concerns raised about Suzuki recordings made by William Preucil, Jr., Alfred Music announced on Tuesday that the company plans to replace those recordings with new ones, starting as soon as next year. Preucil, who is the violinist who recorded Suzuki Violin School Books 1-8, was recently fired as Concertmaster of the Cleveland Orchestra after an investigation found multiple incidents of sexual misconduct. "We take the allegations of sexual misconduct that have been made against violinist William Preucil, Jr. extremely seriously, and we are dismayed at the findings of the investigation conducted on behalf of the Cleveland Orchestra," said a statement by Alfred Music that was quoted in a Tuesday Washington Post article about the recordings. "To that end, we will work closely with the International Suzuki Association and will replace our current Suzuki Violin School recordings with new recordings as soon as possible." "We take the allegations of sexual misconduct that have been made against violinist William Preucil, Jr. extremely seriously. 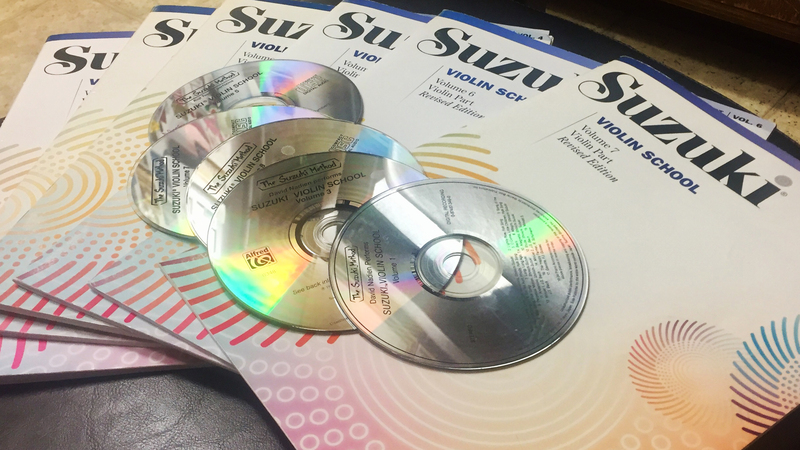 We understand how important our Suzuki Violin School recordings are to you as an educator. We are in the process of working with the ISA on commissioning and releasing new recordings with a new artist in 2019. As you can imagine, this process will take time and we want to ensure that we provide you with the highest quality recordings as you have come to expect from us....During this transition period, if you wish to purchase recordings by artists other than Mr. Preucil you can access the Alfred.com website. We appreciate you reaching out during this difficult time and sharing your concerns with us." Find a links to downloads and alternative recordings of the Suzuki Violin School repertoire by clicking here and then scrolling to the bottom of that blog, before the comments. October 31, 2018 at 12:24 PM · I'm so happy Alfred is doing the right thing!! October 31, 2018 at 05:07 PM · I was wondering when I first heard about Preucil doing what he did if something like this would happen later. October 31, 2018 at 11:02 PM · I was hoping this would also include the viola recordings, but note that it specifies violin recordings. November 1, 2018 at 12:29 AM · Viola recordings are played by his father, William Sr.